Christmas is a fantastic time to head north, and see the natural beauty of Iceland. Especially stunning over the winter period, the true Christmas spirit in the capital city of Reykjavik will warm your heart despite the cold weather outside. Each winter, visitors have a chance to see the famous phenomenon of the Northern Lights as they decorate the skies. 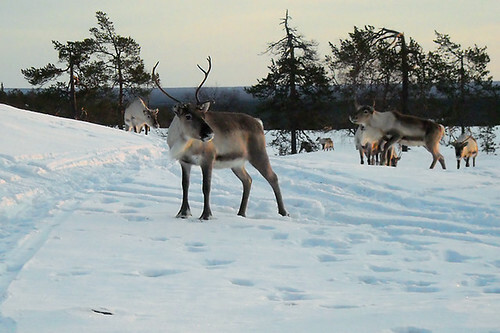 Make plenty of snowmen, have a family sleigh ride with real reindeer, and enjoy the country this Christmas. Iceland isn’t just a winter wonderland; the island is an amazing destination all year round. Nature shows off its true magnificence through Iceland’s glaciers, geysers, volcanoes, hot springs and waterfalls. Most would consider a skiing holiday over Christmas to be far too expensive; surprisingly however, it is much cheaper than visiting in the February holidays. This winter might be the perfect time to enjoy the snow covered slopes of the Italian Alps. Italy is well known for its wealth of mountains, and ski resorts are equally abundant in their number. With some great deals for families and groups, book now for a white Christmas to remember, in the clear alpine air. For those looking for a warmer Christmas getaway, Madeira is a popular year-round resort, with over one million tourists visiting the island annually whilst the Portuguese archipelago lies less roughly 400km north of the Canary Island, in the Atlantic Ocean. Madeira is famous for its unique wine, flowers, and stunning landscapes. Lovers of the sun will enjoy this destination, and can relax on the sandy shores of the islands coast. Visitors over the Christmas period should stay for the annual New Year celebrations. 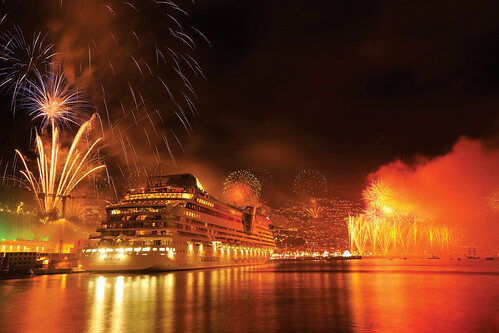 In 2006, the Guinness World Records Association officially recognised Madeira as having the largest firework show in the world! Home of the famous Edinburgh Festival, the capital city of Scotland is full of historical and cultural attractions for its visitors to experience. Every year, over 1 million people make their way from outside the United Kingdom to visit Edinburgh, making it 2nd only to London for tourist popularity in the UK. The Old and New Towns are listed as UNESCO World Heritage Sites, and look even more beautiful when covered with a blanket of snow. Castles, cathedrals and medieval buildings give the Scottish town a unique charm, and the annual Hogmanay street parties will be sure to entertain the whole family. This vibrant capital of culture is, without a doubt, a great getaway this Christmas. The Czech Republic’s capital city is also its largest and Prague offers a wonderful traditional Christmas experience for its thousands of locals and visitors alike. Carol singing, church services, and outdoor ice skating transforms the city centre into a magnificent winter wonderland. Teaming with culture and history, Prague is our final great getaway to add to your Christmas list. Whether you’re looking for a traditional winter holiday, or you want to try something a little bit different, these great Christmas destinations are sure to help you make your holiday one to remember. Make the most of your time off, and enjoy your break at one of these amazing European getaways this year.